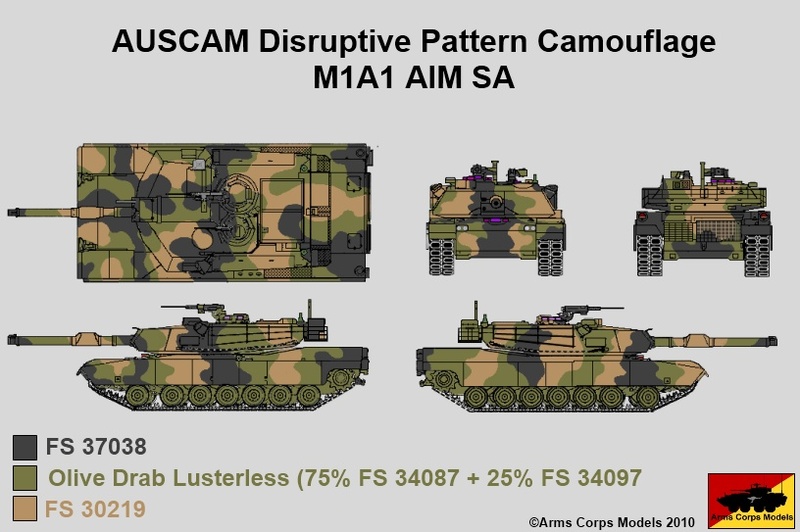 During 2009 images became available of the new three tone camouflage for the Australian Abrams AIM tanks. The pattern below is based on observed images taken from the net especially the Department of Defence website. At this time it is unknown what colour the tactical markings will be or what style vehicle names will appear in. It is likely that these will follow the same markings as the three tone camouflaged Leopard AS1s.